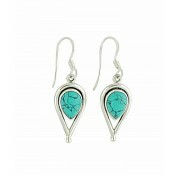 Crafted from versatile sterling silver, these delicate Teardrop Sterling Silver Turquoise earrings are a must-have. 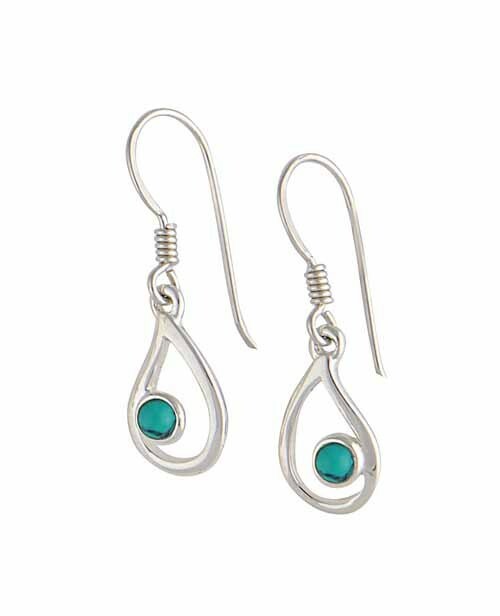 Each earring celebrates the contrasting beauty of silver and rich, Turquoise gemstone. 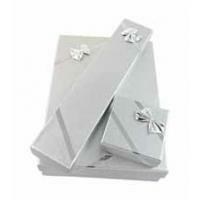 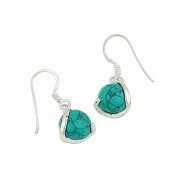 Each earring features an open teardrop charm which cradles a round Turquoise stone. 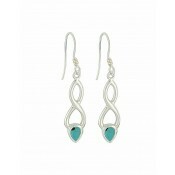 A stunning pair for everyone.